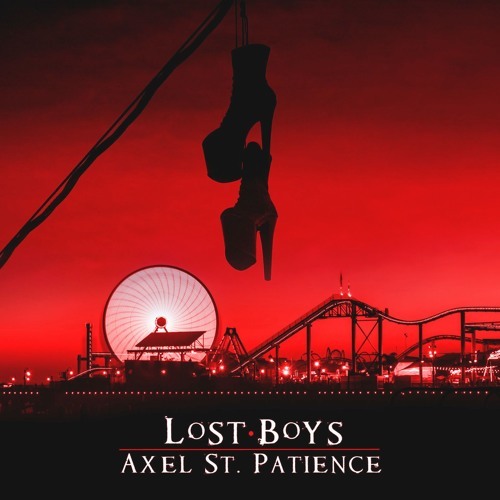 Home / Axel St. Patience / brand new / brand new artist / música / Axel St. Patience Unveils New Single "Lost Boys"
Axel St. Patience Unveils New Single "Lost Boys"
Texas-based electro-pop singer-songwriter Axel St. Patience has just unveiled his brand new single Lost Boys. I really like his vocals here and the song is a beautifully produced electro-pop track. It's an emo-pop anthem perfect for the Pride parties to come. Really enjoying the heavy guitars, the delicate piano keys and the emotional message perfect for an LGBTQ+ audience. Stream it below! the sound of a heart born broken desperately trying to find something that makes life worth living. It’s an homage to all the bleary-eyed and eternally romantic outsiders who take life as it comes in hopes that—one day—it will all make sense.